[157 Pages Report] on Acrylate Market was valued at USD 6.86 Billion in 2016 and is projected to reach USD 9.88 Billion by 2022, at a CAGR of 6.3% from 2017 to 2022. The high demand for acrylate in adhesives and paints & coatings applications is driving the acrylate market across the globe. This study estimates the size of the acrylate market for 2017 and projects its growth by 2022. 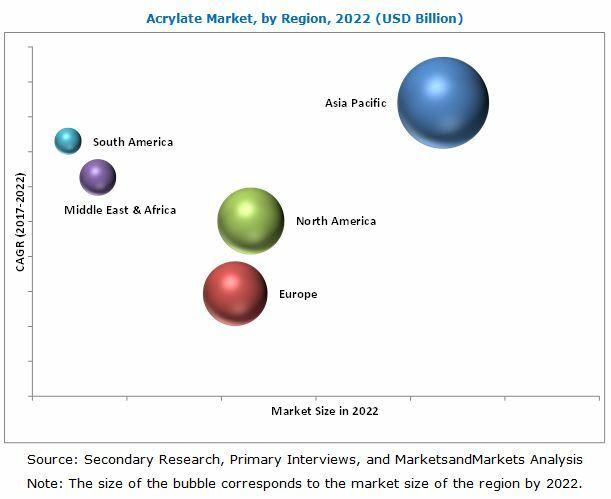 It provides a detailed qualitative and quantitative analysis of the acrylate market. Secondary sources, such as Hoovers, Bloomberg Business Week, and Factiva, among others have been used to identify and collect information useful for this extensive, commercial study of the acrylate market. 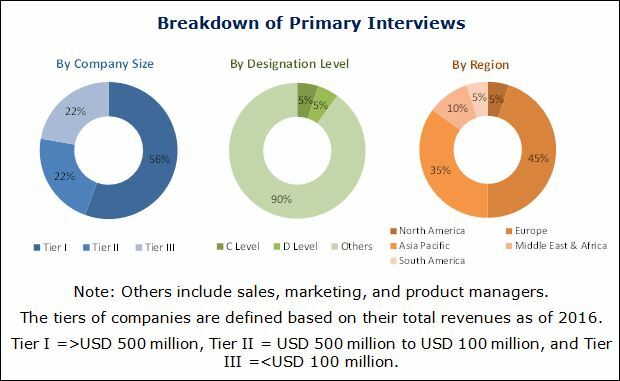 Primary sources such as experts from related industries and suppliers of acrylate have been interviewed to obtain and verify critical information and assess future prospects of the acrylate market. The key players profiled in the report include, BASF SE (Germany), Arkema (France), The Dow Chemical Company (US), Evonik Industries (Germany), NIPPON SHOKUBAI CO. LTD. (Japan), SIBUR (Russia), LG Chem (South Korea), SASOL Limited (South Africa), Formosa Petrochemical Corporation (Taiwan), and Mitsubishi Chemical Corporation (Japan). “This study answers several questions for stakeholders, primarily which market segments they should focus upon during the next two to five years to prioritize their efforts and investments. It also provides a competitive landscape of the acrylate market”. The market has further been analyzed for the key countries in each of these regions.